Microsoft is planning to compete head-to-head with Apple’s cheaper iPad model by debuting its new line of low-cost Surface tablets as early as the second half of 2018, reports Bloomberg citing people familiar with the company’s plans. According to the source, Microsoft’s low-cost tablets will feature 10-inch displays, which is almost the same size as the standard iPad but is comparatively smaller than the 12-inch Surface Pro. It is said to have round edges like Apple’s iPad, as opposed to the squared off corners of the current generation Surface models. The company is planning multiple models, including versions with 64GB and 128GB of storage and LTE cellular networks. Both the models will run Windows 10 Pro and come with USB Type-C connectivity for charging and syncing. Intel Corp. is scheduled to provide the main processor and graphics for these devices. The devices will be 20 percent lighter than the current Surface models, which will make it easier for children to use. It will have up to nine hours of battery life, as opposed to the Surface Pro that lasts for 13.5 hours on a single charge, reports Bloomberg. The devices will also have the kickstand for upright typing and watching video. The cheapest versions of the new device is expected to be priced around $400 that would be sold without a keyboard cover or stylus. However, there are news that Microsoft has plans to launch less expensive versions of its keyboard cover, stylus and mouse, which will be sold separately. Microsoft declined to comment on the rumors of a cheaper Surface model, Bloomberg reported. This is not the first time that Microsoft has taken a plunge in the low-end PC/tablet market. 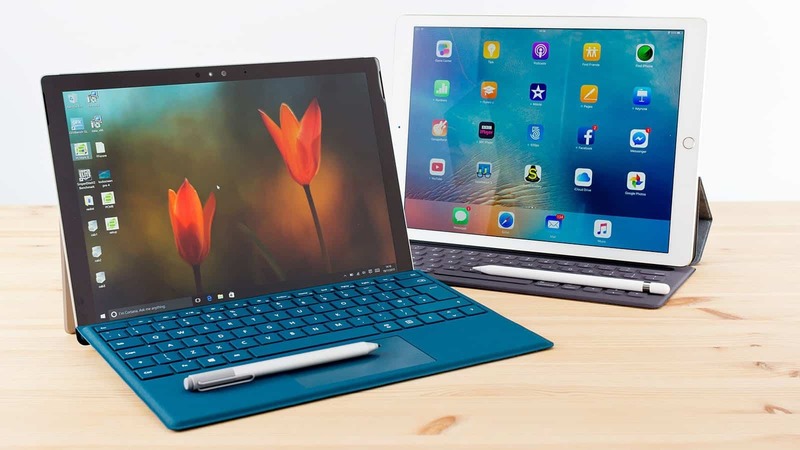 In the past, the tech giant had tried to enter the low-cost market with the Surface RT in 2012 and the Surface 3 in 2015, both priced at $499, but fared poorly in comparison to the growing Surface Pro line. Microsoft had to go ahead and discontinue the Surface RT in 2017. Now, with the launch of this new low-cost $400 Surface tablet, will Microsoft be able to take on Apple’s latest entry-level $329 iPad and attract people to its Surface products, only time will tell!!! Currently, Microsoft’s least expensive Surface Pro device starts at $799.